3/4 inch wide head with single buckle on the near side, Buckle sterling silver. 1/2 inch wide throatlatch with sterling buckle. 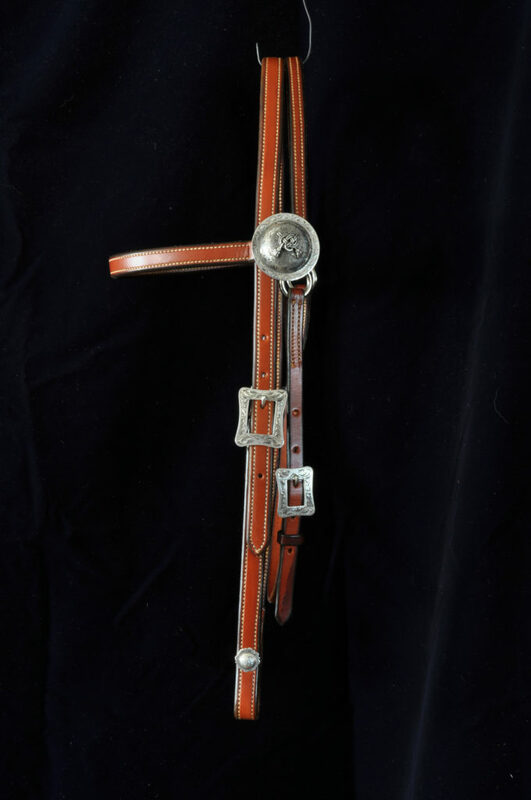 3/4 inch wide double and stitched head piece and browband of chestnut bridle leather and 1/2 inch Throat latch of bridle leather. 1 3/4 inch sterling concho at the browband and 3/4 inch concho Chicago screw at the bit end. Can be made in chestnut, tan dark brown or black bridle leather.